Pete Carroll spends a lot of his time talking about turnovers as a key to his formula for success, but explosive plays is another major factor. The Seahawks were 11-1 last season when winning the explosive play battle, and 2-2 when they did not. Their two wins, at Houston and at St. Louis, were by the narrowest of margins. The Seahawks are 1-2 in games this year when they have failed to win the explosive play battle. The shift, though, in this phase of their game has shifted dramatically in the last four weeks. An explosive play is defined by the Seahawks as a pass of 16 yards or longer or a run of 12 yards or longer. Seattle has improved in both areas over the last four games. 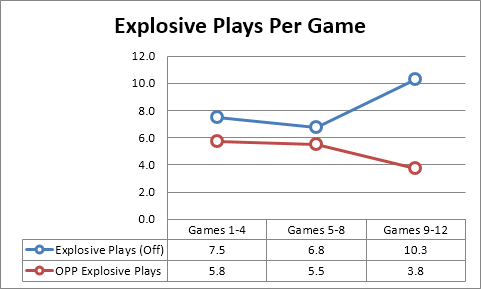 The biggest change has been in the explosive running plays. Seattle has had 22 explosive running plays in the last four games. Marshawn Lynch has had eleven of them, Russell Wilson has had nine, and Christine Michael has had two. 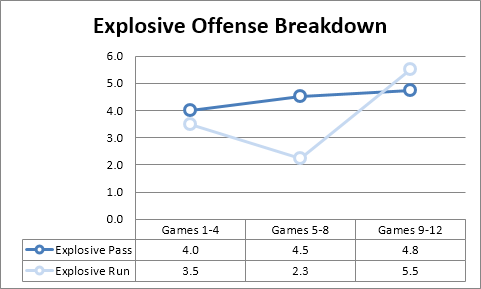 The offense has more than doubled their explosive running plays over the last four games compared to their previous four, and that includes two games against great run defenses in San Francisco and Arizona. The team had three big running plays in each of those games, which was still above their average from games five through eight. There were 19 explosive passes for Seattle during this stretch. Jermaine Kearse had six. Doug Baldwin, Tony Moeaki, Luke Willson, Cooper Helfet, Marshawn Lynch, and Ricardo Lockette have two each, and Robert Turbin has one. Clearly, the tight end has been an integral part of the big play passing game. Seattle was the best team in football last season in limiting opponents explosive plays. They never had a four-game stretch where they held an opposing passing game to fewer explosive plays than they have in these recent games. The Seahawks had two games all of last year that they held an opponent to one explosive pass. They have done it twice in the last four games (@KC, @SF). They also managed to mostly maintain their stellar performance against the run despite their worst game of the season in Kansas City, where they allowed four explosive rushes. As a way of comparison, the 2013 Seahawks defense only had one stretch of four games where they held teams to fewer explosive running plays than 2.0 per game. Put both sides of the ball together, and you see a sizable shift in the way the Seahawks are performing in creating and preventing explosive plays. 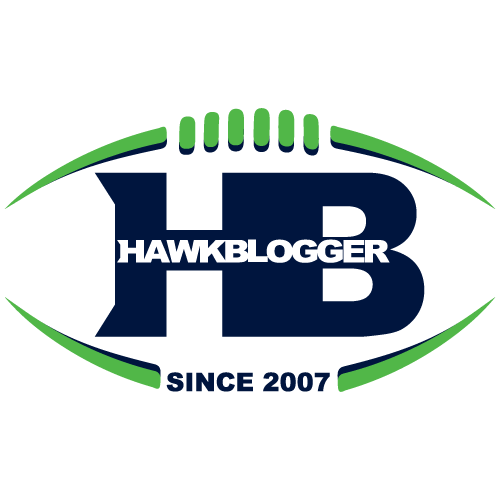 The Seahawks had three games where they managed eight explosive plays on offense or more in a game over their first eight games. They have done that in each of their last four games. The 2013 squad, complete with Golden Tate, only had one four-game stretch that was better than this current run. This passing defense is in uncharted territory. Even the 2013 group never had a stretch where they limited teams to 2.3 explosive passes per game. They ended the season last year holding the last four opponents to 3.8 total explosive plays per game, which was their best run, and this year’s team has matched that over the last four games. This will be put to the test next week when facing an Eagles offense that has produced more explosive pass plays (5.6/game) than any team Seattle has faced outside of Denver, and is tied with Dallas for the most explosive running plays (3.1/game) after Seattle. 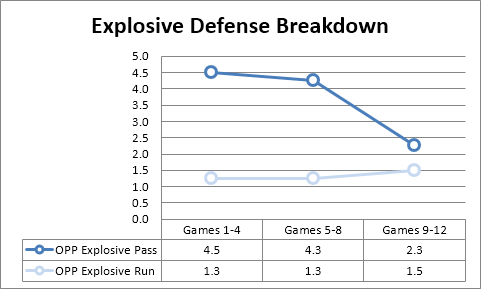 The good news is that their defense has allowed the second most explosive passes and are near the bottom in explosive rushes.